ITAT Held that (i) That the assessee has generated steam power from bio-gas, (ii) Generation of cooling power from cooling towers and (ii) Cooling Power from Ammonia Absorption Refrigeration Plant ans such activities are eligible for Deduction under Section 80 IA of the Income Tax Act, 1961. These cross appeals are arising out of the common order of Commissioner of Income Tax-38, Mumbai, [‘CIT(A)] in appeal No. C T(A)- 38/IT-84,85 & 86,119/2009-10 & 2010-11 vide order dated 31-12-2013. The assessments were farmed by Deputy Commissioner of Income Tax, CC-40, Mumbai, (‘DCIT) for the AYs 2005-06, 2006-07,2007-08 & 2008- 09 vide orders dated 20-03-2015 ,27-11-2008,29-10-2010 under section 143(3) of the Income Tax Act1961(hereinafter the Act’). “1. The CIT(A) erred in restricting the deduction u/s 80IA for generation of steam power. “1. On the facts and in the circumstances of the case and in law, the CIT(A) erred in deleting the dis allowance made u/s 80IA, without appreciating the fact that generation of steam is not a form of power eligible for deduction u/s 80IA of the I. T. Act. 2. On the facts and in the circumstances of the case and in law, the CIT(A) erred in deleting the dis allowance made u/s 80IB of the Act, without appreciating the fact that not separate undertaking was set up for production of Instant Dry Yeast, which is in violation of the provision of section 80IB of the Act. 3. Brief background and facts are that the assessee manufactures Baker’s Yeast at its factories situated at Sandila and Chiplun. The main raw material is sugar cane molasses and other raw materials are urea, phosphoric acid, caustic soda, soda ash, vitamins, anti foaming agent, emulsifier, magnesium sulphate, water etc. Bakers Yeast manufactured by the assessee is sold in three forms (a) Fresh Yeast, (b) Active Dry Yeast and (c) Instant Dry Yeast. Fresh yeast is highly perishable and needs to be stored under continuous refrigeration. Fresh yeast is transported in refrigerated trucks. Instant Dry yeast can be stored at room temperature and is mainly used by bakers in areas that are not easily accessible by road and where refrigerated storage facilities are not available. Temperature is very important for production and survival of the yeast. During the process of production the assessee requires both heat and cooling power. For this purpose, the assessee also generates Steam Power from Bio gas Boilers and Cooling Power from Cooling Towers set up at its power generation undertakings at Sandila and Chiplun. Assessee claimed commencement of production of Steam Power, Cooling Power from Cooling Tower and Cooling power from Ammonia Absorption Refrigeration plant at Sandila as on 31.01.2000, 22.03.1997 and 28.02.2002 respectively. Similarly, commencement of production was claimed of Steam Power and Cooling Power from Cooling Towers as on 01.03.2001 and 02.08.2002 respectively. a) For generation of cooling power he restricted the claim of of rate of conversion of 1 Tonne of refrigeration equal to 3.52KW of electric power to 02 KW of electric power. b) For generation of steam power he directed an ad-hoc reduction of 25% of the notion receipts from the sale of steam power. Aggrieved, assessee as well as department filed appeal before Tribunal and Tribunal decided the issue on jurisdiction and quashed the reassessment. It means the merits were not tested. 5. Similarly for AY 2004-05, the AO framed the assessment u/s 143(3) of the Act vide order dated 27.12.2006, despite the fact that search and seizure action u/s 132 of the Act was conducted on the assessee on 30.11.2006. AO u/s 143(3) of the Act passed assessment order and inter alia disallowed deduction u/s 80IA of the Act. The assessee preferred appeal before CIT(A), who reduced the quantum of deduction. Aggrieved, assessee preferred appeal before Tribunal. The Tribunal vide order dated 03.10.2012 held that the assessment for AY 2004-05 had abated on the date of search by virtue of second proviso to section153 A of the Act and assessment completed u/s 143(3) of the Act during the pendency of assessment u/s 153A of the Act is nullity and without jurisdiction. Accordingly, even for AY 2004-05 was not tested on merits. Aggrieved, assessee and revenue preferred these cross appeals for these four assessment years. 7. We find that the AO was of the view that there is no generation of power in the case of the assessee and moreover, the word power is not defined in the Act. The meaning in common parlance should be taken which would mean electricity. According to the AO, steam power and cooling power is not power as per Section 80IA(4)(iv) of the Act. Water that is cooled through the cooling tower is supplied to the assessee s manufacturing process. In any industry, various forms of energy like electrical energy, heat energy, mechanical energy etc are used or If the argument of the assessee is to be accepted almost every undertaking should be entitled for deduction u/s 80IA of the Act and that too with reference to each stage of their production process where some form of energy is generated. For instance when a machine runs on electricity it can claim that mechanical energy is generated which is used in the business. The word power is used in sub-section (2) of section 80IA of the Act and it is not defined therein. In such a case, the condition in sub-clause (IV) would become meaningless. Sub-section 4(iv)(b) of Section 80IA of the Act allows deduction to undertakings that start transmission or distribution by laying a net work of new transmission or distribution lines. This reference is electric power and cannot apply to steam power, refrigeration power or any other form of power. If the assessee’s argument is accepted, these provisions would also encourage cutting down of trees as burning of wood produces heat energy and assessee could claim the deduction on the ground that he is engaged in the generation of power. Such cannot be the intention of the legislature. Sial SBEC Bio energy Ltd. ITA No. 5461/Del/2003 decided on 26.3.2004. West Coast Paper Mills Ltd. ITA No. 5403/Bom/1999 & 382/Mum/2001 decided on 21.6.2005. 9. In-spite of noticing several judicial pronouncements on the subject, the AO still concludes the assessee is not producing power, because, according to the AO, power can only mean electricity for the purpose of claiming deduction u/s 80-IA of the Act. The AO has not even stated why the aforesaid decisions are incorrect. Therefore, the profits from generation of steam power and cooling power are eligible for deduction u/s 80-IA of the Act. 10. Furthermore, the assessee submitted various Patents, Chapters from textbooks, and technical articles to CIT(A) by a letter dated 8th February 2012 (Copy enclosed at Page Nos 733 to 738 of assessee Paper Book). The CIT(A) called for a remand report from the AO. The AO submitted a remand report No. DCIT CC-40/Remand Report 2012-13 dated 24.12.2012 wherein he has not disputed or controverted technical information and evidences filed by the assessee. The CIT(A) also considered that ‘Power is the rate of transfer of or conversion of energy for doing work or in other words, energy converted in a unit of time. The physical equation for power is, work divided by time. Since work is equal to force multiplied by distance, the equation of ‘power’ would be force multiplied by distance divided by time or force multiplied by velocity. Any form of energy can be converted to produce power for doing work. There are various forms of energy such as, electrical energy, wind energy, tidal energy, steam etc. In fact a Ministry has been formed to develop alternative sources of energy, which are referred to as Non-conventional Energy Sources. This department of the Government encourages development of sources of energy other than conventional sources such as, electricity, fuel or nuclear power by a system of incentives. ‘Power’ in clause (iv) of sub-section 4 of section, 80-IA of the Act, therefore, cannot be restricted only to electrical power in the absence of any specific Accordingly, he was of the view that deduction has been given to encourage generation of power which would augment the total power generation or save consumption of electric power and so long as these forms of power are generated and used for doing work in the production process, the activity would be an eligible business. (iii) in any other industrial undertaking for the purposes of ……………………..
13. In view of the above provision, he argued that the Parliament has recognized electricity to be one of the forms of power. This interpretation is supported by judgments in the cases of SIAL SBEC Bio energy Ltd vs DCIT 83 TTJ 866 (Del) and further in West Coast Paper Mills Ltd vs ACIT (2014) 33 ITR (AT) 560 (Mumbai). Even Hon’ble Madras High Court in the case of Tanfac Industries Ltd (Tax Case (A) No 1773 of 2008 and Tamilnadu Petro Products Ltd 238 CTR 454, which was upheld by Hon’ble Supreme Court (2010) 319 (ST) 8 that even the steam power is treated as one of the forms of power. So far as Section 80IA(4)(iv) of the Act is concerned, the term used is power and it is not restricted to electricity. He further explained that the Rules of Interpretation of Statutes by using principles of internal aid, the provisions of Section 32A can be used to explain the term power as used in Section 80IA(4)(iv) of the Act. Therefore, it is clear that the term power used in Section 80IA(4)(iv) of the Act is not only restricted to generation of electricity but for generation of any form of power. For the use of internal aid, the assessee also relied on the order of ITAT in the case of Vandana Properties vs ACIT (2010) 128 TTJ 89 (Mumbai). 15. The aforesaid pronouncement by the Delhi Bench of the ITAT the issue of the meaning of the word ‘power’ was followed by Jaipur Bench of Hon’ble ITAT in the case of DCIT vs. Maharaja Shree Umaid Mills Ltd. (2009) 120 TTJ (JP) 711, wherein it was held that just like electricity steam is also a form of power. In this case, the assessee had a system of waste heat recovery for generation of steam of required pressure which could also be made available for operating the textile unit of the assessee. The steam so generated through the attachment of power generation unit, was by using the residual heat being exhausted by the engine while producing electric power. Such steam is thus generated as a bye-product of plant for generation of electricity. In the above case the textile unit would have itself had to generate steam for its use if the same was not available to it from the power generation unit, as was being done there before. It was held by the ITAT in Para 5 that whether scientifically or in general parlance the terms ‘Production of Steam’ and ‘Generation of Steam’ or for that matter ‘Production of Electricity ’and ‘Generation of Electricity’ are synonymous. The AO in that case (just as in the assessee’s case) held that the intention of the legislature under Section 80IA (4) (iv) (b) of the Act is to allow a deduction for generation of electricity only as transmission and distribution as referred to sub-clause (b) are for electricity only. The Tribunal held that sub–clauses (a), ( b), (c) of Section 80IA(4)(iv) provide for the benefit of a deduction in three different sets of undertakings being; first which generate or generate and distribute power, second which starts transmission or distribution lines and third which undertake substantial renovation and modernization of existing transmission or distribution lines. Thus it was held that while referring to one sub-clause an inference cannot be drawn from another sub-clause and that there three types of undertakings refer to in sub- clauses (a),(b),(c) are different and independent of each other. It was also held that terms ‘Power and ‘Energy’ are synonymous and they can be in several forms, steam, mechanical, electrical, wind etc. Accordingly, in the present case also it was claimed that if the legislature only wanted to confer the benefit of deduction under Section 80IA of the Act only for generation of electricity, it would have been specifically mentioned by using the term ‘Electrical Power’ instead of the connotation as Power’ which is omnibus. Similarly, the Mumbai Bench of ITAT in the case of DCW Ltd vs ACIT (37 SOT 322) relied on the decision of Hon’ble Madras High Court in the case of Tanfac Industries Ltd (Supra) and held in Para 18.9 that steam produced by the assessee is eligible unit and income from sale of steam is the income derived from industrial undertaking, therefore, deduction under section 80-IA is allowable. The Hon’ble Madras High Court in the case of CIT vs TANFAC Industries Ltd in Tax Case No. 1773 of 2008 held that steam sold to its sister concern is eligible for deduction u/s 80IA of the Act. This judgement was upheld by Hon’ble Supreme Court (2010) 319 ITR (St) 8. Almost everything that happens in the world is a result of a change of energy from one form to another”. 17. Similarly, he referred to school Physics book: A textbook of Physics by Anita Prasad for Eighth Standard Students, wherein the word Power (energy) has been described in detail and its conversion from one form to another form. Power and energy are almost synonymous. The assessee reproduces below the relevant portion of the chapter on Sources of Energy (Forms of Energy, Energy Resources, Wind Energy) from the popular textbook of Physics prescribed for 8th Standard students. “Energy is the ability of a body to do work. Energy can be transformed from one form to another. There is energy in the Wind that blows and in the water that flows. There is energy in the fuel that we burn and in the food that we eat. Most of the energy can be harnessed for doing useful work. Heat Energy (power): When water is boiled, the water changes to steam. The steam used to do work such as turn turbines and railways engines. i) Light Energy (power): Green plants in the presence of sunlight make food. Light is used to start chemical reactions within the leaves of the Chemical reactions take place when light falls on photographic plates. Light causes chemical changes, hence it is a form of energy. ii) Chemical Energy (power): Foods made by plants store energy in the form of chemicals. Humans and animals use the food to release energy, some of which is stored in our muscles. This muscular energy is used for doing work. A piece of coal, a log of wood or a drum of oil also contains stored chemical energy. When ignited these produce energy in the form of heat and often light. iii) Sound Energy (power): If you place your fingertips against your throat when you speak you can feel the vibrations or movement produced by the sound. The vibrations occur due to energy of the Hence, sound is a form of energy. iv) Electrical Energy (power): When you switch on the radio or music system, electric current passes into it and produces sound. The set also gets heated up. Electricity can produce heat, light and sound energy. Hence it is a form of energy. v) Magnetic Energy (power): Energy is stored in permanent magnets because a magnet can move a piece of iron-thus doing work on it. vi) Nuclear Energy (power): The heat and light of the Sun is produced when hydrogen atoms join together to form helium. The atoms store energy in their nucleus. The nuclear energy released when atoms split up is used in power stations to generate Nuclear energy is also when an atom bomb explodes. vii) Potential Energy and Kinetic Energy (power): Potential energy is the energy possessed by a body due to its position or change in shape. Kinetic energy is the energy possessed by a body on account of its motion. Both potential energy and kinetic energy are forms of Mechanical Energy (power). viii) Alternative Sources of Energy (power): India has today among the worlds largest programmes for renewable energy. The spectrum of Renewable and non-conventional energy covers Solar Energy (power), Wind Energy (power), Biomass (power), Tidal (Ocean) Energy (power) and Geothermal Energy (power). 18. Similarly, the learned Counsel explained GENERATION OF COOLING POWER FROM COOLING TOWER in the case of assessee. In the case of assessee, the UNDERTAKING concerned is generating “Cooling Power”. The power generated by the Cooling Tower is known as Refrigeration Power or Cooling Power. Cooling or Refrigeration Power, as the name suggests, is used in reducing the temperature of an object, whether solid, liquid or gaseous. The assessee generates Cooling Power at its undertakings at Sandila and Chiplun. The temperature of the water is reduced by passing air through the apparatus, ie. the ‘Cooling Tower’ in sufficient volumes, at a temperature cooler than that of the incoming hot water such that the particles of water are enveloped by the air and there is a transfer of heat from the water to the air. The air then exits the chamber at a temperature higher than its temperature at the point of entry and the water exits the apparatus at a temperature lower than its original temperature. In other words, air (which is 1/1000th the density of water) acts as the refrigerant to cool the temperature of water. 19. The transformation of thermal energy into cooling power is a technology known and applied for decades. In a Cooling Tower, enthalpy potential difference is used to generate Cooling Power. In the process, each particle of water is surrounded by a thin film of air and the enthalpy difference between the film and the surrounding air provides the driving force for the cooling process which generates the Cooling Power. Cooling Power or Refrigeration Power is measured in Tonnes of Refrigeration (TR). Power is a measure of the Work done divided by the Time taken to do the Work. Thus, when a ‘Joule’ is the unit of Work, and an ‘Hour’ is the unit of Time, the unit of Power is Joule/Hour or Watt. 20. The Ld Counsel explained the facts of the present case that Cooling Power generated at the assessee’s Cooling Power generation undertakings is put to captive use in the manufacture of yeast. The assessee claimed that it is entitled to claim deduction under Section 80- IA of the Act, in respect of profits/ gains derived from the generation of the Cooling Power. The assessee filed details of generation of power for the A.Y. 2005-06, 2006-07, 2007-08 & 2008-09 at its Cooling Power generation undertaking at Chiplun including its value and also of Cooling Power at its Cooling Power generation undertaking at Sandila. It was explained that Production of Cooling Power began at the Cooling Power generation undertaking at Chiplun on 2.8.2002 and at its Cooling Power generation undertaking at Sandila on 22.3.1997. “The invention relates to a method of producing cooling power for one or more buildings by means of hot district heating water and an absorption aggregate obtaining energy from the district heating network. 23. The assessee has exercised the option and for the first time claimed deduction under Section 80-IA for Generation of Cooling Power at its Cooling Power generation undertaking at Sandila for AY 2003-04 and for later AYs which was well within 15 years from 22.3.1997. Similarly, the assessee has exercised the option and for the first time claimed deduction under Section 80-IA of the Act for Generation of Cooling Power at its Cooling Power generation undertaking at Chiplun for AY 2004-05 and for later AYs which was well within 15 years from 8.2002. It was explained that the assessee’s Cooling Power generation undertakings at Chiplun and Sandila are independent. They have separate plant and machinery. Separate labour is used for running the assessee’s Cooling Power generation undertakings. The cooling power generation undertakings are independent and distinct from the assessee’s yeast manufacturing factory. The cooling power generation undertakings are independent and distinct from the assessee’s yeast manufacturing factory. In this regard the assessee relied on Factory Inspector’s certificate dated 08.11.2006. 24. The learned Counsel also explained the Generation of Steam Power from Bio gas by stating that the effluent (thick black liquid) generated in the process of manufacturing yeast is collected in lagoons where there is no oxygen and it is pumped into Anaerobic bio gas The assessee’s produces bio gas in a methane digester where complex microbial mixtures are required to produce methane gas from the effluent. The numbers and type of bacteria in the anaerobic digester depend upon the composition of the effluent and the operating conditions of the digester. Methane gas is produced by a chemical reaction from the effluent by a process of anaerobic digestion which is used as a raw material to fuel specialized boilers in order to produce steam which again is a form of Power. In the boiler water is added and the boiler is heated through biogas to produce Steam Power. The Steam Power generated is sold to yeast manufacturing unit where it is captively consumed. The bio gas so produced contains hydrogen sulphide which is removed by passing it through a scrubber in a sulphur removal plant which includes a reactor. Bio gas is then transported through pipe lines to boilers where biogas is fired in the boiler to produce steam power. Steam power is then sold and transported through insulated pipelines to the yeast factory. The generation of steam power at the assessee’s S eam Power generation undertaking at Sandila began on 31.01. 2000 and the generation of steam power at the assessee’s Steam Power generation undertaking at Chiplun began on 01.03.2001. 25. The assessee has separate plant and machinery for its Steam Power generation undertakings which are distinct and separate from the yeast manufacturing factories. The labour used at the steam power generation undertakings is also separate. In this regard the assessee relied on Factory Inspector’s certificate dated 08.112006. Accordingly the assessee claimed deduction u/s 80IA of the Act for the profits derived from aforesaid undertaking engaged in generation of steam power. The initial year of claim for the assessee’s Steam Power generation undertaking at Sandila was AY 2003-04 and the initial year of claim for the assessee’s Steam Power generation undertaking at Chipun was AY 2004-05. He also relied on Government of India, Ministry of Non-Conventional Energy Sources, vide Notification No: F No: 2/1/2005-UICA dated 25.07.2005 encouraged entrepreneurs by providing financial assistance to set up plant for energy/power generation from industrial and commercial waste and effluent. One of the objects of this notification is that production of bio gas (source of renewable energy) from industrial waste and also power generation from bio gas. By this notification, Government of India has clarified that bio gas is a source of power and hence the contention of AO is totally wrong and without any scientific basis. Bio gas is indeed a source of power. Therefore, the assessee is producing steam power from bio gas and has rightly claimed deduction u/s 80IA of the Act. A copy of Government of India’s Notification F.No.2/2/2005-UICA dated 25th July, 2005 is enclosed at Pages No 138 to 142 of the Continuation No 2 of assessee Paper Book No III. The bio gas so produced contains hydrogen sulphide which is removed by passing it through a scrubber in a sulphur removal plant which includes a reactor and then transported through pipe lines to the boiler plant where biogas is fired in boilers to produce steam power. Steam power is then sold and transported through insulated pipelines to the yeast factory where it is captively consumed. For the AYs 2005-06, 2006-07, 2007-08 & 2008-09, Steam Power generation undertaking at Chiplun and Sandila produced steam power valued, the details of which are given by the assessee and can be verified by the AO. The production of steam power at assessee’s Steam Power generation undertaking at Sandila began on 31.01. 2000 and at Chiplun began on 01.03.2001. “13. A perusal of the above said circular would clearly show that it is also in favour of the assessee. The said circular is very specific that in a case of captive power unit the provision of law is also the same as in the case of the undertaking which generates and distributes the power to any other concern. Further, it is a well-established principle of law that a circular can only be made in consonance with the provisions of the enactment and the same cannot be derogatory to the purport sought to be achieved. Hence, we are of the opinion that the circular relied upon by the learned counsel for the Revenue is in fact in favour of the assessee and, therefore, the said contention also cannot be accepted. “9. Therefore, there is no difficulty in holding that captive consumption of the power generated by the assessee from its own power plant would enable the respondent/ assessee to derived profit and gains by working out the cost of such consumption of power in as much as the assessee is able to save to that extent which would certainly be covered by Section 80-IA (1). When such will be the outcome out of own consumption of the power generated and gained by the assessee by setting of its own power plant, we do not find any lack of merit in the claim of the respondent/A ssessee when it claimed by relying upon Section 80-IA(1) of the Income Tax Act by way of deduction of the value of such units of power consumed by its own plant by way of profits and gains for the relevant assessment years. 10. Hence the contention of the learned counsel for the Revenue has no legal basis. It is a well settled principal of law that court while interpreting the provision will have to see the object of the enactment and its provisions. Hence, we are of the opinion that the interpretation sought to be made by the Revenue would be fact frustrate the vary purpose for which for which the benefit is provided in the said provision and therefore the same cannot be countenanced. 11. In this context, we find that a decision of the Hon’ble the Supreme Court in CIT v. TANFAC INDUSTRIES LTD. S.L.P. (C) No. 18537 OF 2009 reported in 319 ITR (Statutes),8, fully support the stand of the assessee. That was also a case where while applying Section 80-IA of the Income Tax Act, the Hon’ble the Supreme Court took the view that the value of steam used for captive consumption by the assessee was entitled to be deducted under Section 80-IA of the Act. “2. I am directed to say that the Board examined the above matter and are of the view that if an undertaking, which is set up in any part of India for the generation or generation and distribution of power, begins to generate power at any time during the period beginning on the 1st day of April, 1993 and ending on the 31st day of March, 2006, will be eligible for the benefit of deduction u/s 80-IA. In case of a captive power unit, the provisions of law is also the same. i) The tax holiday provisions under Section 80-IA came into effect from the date such an undertaking begins to generate power. In a captive power plant, the date of generation may require determination by the Assessing Officer with reference to initial date on which such captive power plant starts generation. ii) Where a captive power plant is merely hived off as a separate entity and not sold to a third party, owing to the close connection between the power generating undertaking and its industrial user undertaking, the transactions would require examination at the level of Assessing Officer to ensure that they are at arms’ length and that the provisions sub-section (8) of Section 80-IA are not attracted adversely. iii) Any grant of deduction under Section 80-IA of the Income Tax Act, 1961 should not be taken to legitimate something not permissible under the provisions of the Electricity Supply Act and related laws of various states and union. “18. In so far as the second issue regarding captive consumption is concerned, it is, admittedly, covered by the decision of the Hon’ble Madras High Court rendered in the case of CIT vs Thiagarajar Mills Ltd in Tax Case (Appeal) Nos. 68 to 70 of 2010, in favour of the assesse. Paragraphs 8 to 11 of the decision are reproduced herein below: The contention that only whatever power generated from the sale to an outsider or the Electricity Board and the profit or gain derived by such sale alone can be taken as profit or gains derived by the assessee as mentioned in Section 80-IA(1) of the Income-tax Act, has been rejected by the Tribunal in the order impugned. In our considered view, the Tribunal was well justified in having rejected such a stand of the tax Act, we are also convinced that what are all to be satisfied in order to be eligible for the deduction as provided under sub-section (1) of section 80-IA the assessee should have set up and an undertaking or an enterprise and from and out of such an undertaking or an enterprise set up, any profit or gain is derived, falling under sub-section covered by sub-section(4) of section 80-IA of the Income-tax Act such profit or gain derived by the assessee can be deducted in its entirety for a period of 10 years starting from the date of functioning of the set up. The contention that profit or gain can be claimed by the assessee only if such profit or gain is derived by the sale of its product or power generated to an outsider cannot be the manner in which the provisions contained in section 80-IA in the beginning as well as in the last part of sub-section(4) makes it abundantly clear that such profit or gain could be obtained by one’s own consumption of the outcome of any such undertaking or business enterprise as referred to in sub-section (4) of section 80-IA. The dictionary meaning of the expression ‘derive’ in the New Oxford Dictionary of English states “obtaining something from a specified source.”In section 80 IA(1) also no restriction has been imposed as regards the deriving of profit or gain in order to state that such profit or gain derived only through an outside source alone would make eligible for the benefits provided in the said section. 29. The Mumbai Bench of the Tribunal relying on the decisions in the case of SIAL SBEC Bio energy Ltd. vs. DCIT (2004) 83 TTJ (Del) 866 held that generation/ production of steam is also a form of power and the unit of the assessee which is an undertaking set-up for generation of steam for its manufacturing process (i.e. for captive consumption) can be said to be for generation of power. This patent supports the assessee’s claim that ammonia absorption plant (AARP) generates cooling power/ refrigeration power. 31. For dis allowance of the deduction for Cooling Power produced by AARP, the AO has not mentioned any reasons for this power generation activity under section 80 IA of the Act. Hon’ble Madras High Court in the case of CIT vs Geo Industries & Insecticide (I) Pvt. Ltd. (1998) 234 ITR 541 held that when an assessee makes a claim for consideration of an item for deduction during the course of assessment proceedings, it is the duty of the ITO to examine the claim on the merits of the claim. It is the duty of the ITO to determine the correct taxable income and nothing precludes the assessee from making the claim and nothing prevents the ITO from examining the claim on merits of the matter. 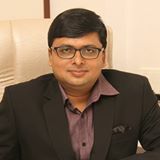 The CIT(A) allowed the claim of deduction under Section 80IA of the Act for Cooling Power generated from AARP undertaking and further he has discussed the quantum of this claim wherein he held that the per unit cost of Rs 15.71 should be restricted to average power cost during the year in Sandila unit of Rs. 5.32 and therefore reduced the claim from Rs. 23,31,945 to a loss of Rs. 10,44,728. He therefore held that since net result is negative figure or a loss no deduction would be available to the assessee. (b) Address mentioned is the same as that of assessee for producing yeast. (c) No separate permission obtained from Central Government or State Government or local authority for carrying on the eligible business as stated in Rule 18BBB. (d) No mention about business of power generation in Form 3CD and Schedule N of statutory report of auditor. (e) No separate segmental reporting for power generation business as per AS 17. (g) No purchase or sales in name of undertaking. HO does not even have a contra entry against power plant. (h) Power generation is not the main business of the assessee. (i)No claim for depreciation at special rates for assets claimed by assessee as allowed under section 32(1)(i) for undertaking engaged in generation and distribution of power. (a) There is no need or statutory obligation to have a different name for the power generation The address has to be the same as it is situated in the same premises as the yeast producing factory. (b) In IAC vs Dalmiya Cement 37 ITD 335, the Tribunal held that the manufacture of clinkers by a new plant which is used as raw material for production of cement was a separate industrial unit although both cement and clinker units were located at same place. (c) As long as unit and activity is independent and identifiable it can be treated as separate industrial unit. CIT(A) relied on Hon’ble Bombay High Court’s judgement in Commissioner of Wealth Tax vs. P. Devashayam 236 ITR 885, Kharwar (J.B.) & Sons 163 ITR 394 and Nazeer Cashew Industries 166 ITR 804. (d) In the assessee’s case, the three elements of systematic activity, employment of labour and equipment and production of goods are present and therefore the enterprise could be termed as an undertaking or an industrial undertaking. (e) There is no fetter against using of power generated for self consumption – Mumbai ITAT in case of West Coast Paper Mills 100 TTJ 833. (f) Sub-section 7 of s. 80IA simply says that accounts of eligible undertaking should be audited which has been done for the assessee’s power generation undertakings. The audit report is required to be furnished and the assessee has complied with the same. No specific condition for maintaining separate books. CIT(A) relied on judgements of ITAT, Mumbai Bench in IA C vs Fulford India Ltd 34 TTJ 285 and ITA T Delhi Bench in Hindustan Computers Ltd 38 TTJ 222. (g) On the issue of whether the receipts from the supply of steam would be eligible for benefit under section 80IA. CIT(A) relied on order of ITA T in the case of SIAL SBEC Bio Energy Ltd.
33. In the provisions of Section 80IA(4)(iv) of the Act, there is no requirement that assessee should have an independent undertaking for the generation of power alone. More over in this case, the issue before Hon’ble Madras High Court was in the context of whether that assessee was engaged in the manufacture of lathes, grinders and other heavy machinery and that there was no manufacturing or production of articles or things before 31.5.1958 and hence whether a benefit would be available under Section 84 of the Act. It was held that the benefit of erstwhile Section 84 of the Act could be claimed as from the material available on record and it was established by the assessee that actual production started after 01.04.1958. The said decision relied on by the AO is inapplicable. The assessee submitted separate and duly audited Profit and Loss accounts giving the revenues and expenses from such power generation undertakings at Sandila and Chiplun and also furnished Balance Sheets which give details of assets and liabilities of each power generation undertaking. These details are available at pages no 195 to 473 of the assessee Paper book No I. It has been held that if new a industrial unit is established as a part of an existing industrial establishment and if the newly established unit is itself an integrated independent unit in which new plant and machinery is put up and that by these is capable of production of goods independently, the said unit could be classified as newly established undertaking. 5. Above all, a separate and distinct identity of the industrial unit set up. 36. Similarly Hon’ble Gujarat High Court in the case of Gujarat Alkalies & Chemicals Ltd vs CIT (350 ITR 94) while relying on the judgement of Textile Machinery Corpn. Ltd. vs. CIT  107 ITR 195 further held that so far as the fifth test is concerned i.e. a separate and distinct identity, only because to a certain extent the new undertaking is dependent on the existing unit, will not deprive the new undertaking the status of a separate and distinct identity. It all depends on the nature of the technology and the mechanism of production. In CIT vs. Chanda Diesels 216 TR 639 (BOM), Hon’ble Bombay High Court exam ned the meaning of ‘Industrial Undertaking in the context of a claim of section 80HH of the Act and held that if a new industrial unit is established as a part of an existing industrial establishment and if the newly established unit is itself an integrated independent unit in which new plant and machinery is put up and that by these is capable of production of goods independently, the said unit could be classified as a newly established industrial undertaking for the purpose of deduction under Section 80HH. Hon’ble Madras High Court in another case CWT vs P. Devasahayam 236 ITR 885, interpreted an industrial undertaking as an undertaking engaged in the business of generation or distribution of electricity or any other form of power. 37. The AO has taken an objection that the power generation unit is a part of a larger undertaking and assessee’s power generation undertakings are not independent unit with a distinct name, address or product and that in various documents filed before various Government authorities, the name and address of the factory is that of “Saf Yeast Co.Pvt. Ltd.”and the product manufactured is stated to be yeast. There is no need nor is there any statutory obligation to have a different name and the address obviously has to be the same as the assessee’s power generation undertakings are situated in the same premises as the yeast producing factory. The Mumbai Bench of ITAT in the case of West Coast Paper Mills, 100 TTJ 833 observed that Section 80IA of the Act does not speak of the consumption of power and there is no fetter against using the power generated for self consumption. The Bench was of the view that the assessee was eligible for deduction for power generated by the two DG sets, which was used for captive consumption. In taking this view, the Tribunal relied on the decision of the Supreme Court in Textile Machinery Corporation Ltd. vs. CIT regarding exemption under section 15C of the 1922 Act and the Bombay High Court decision in CIT vs Sahney Steel & Press Works (1989) 177 ITR 354. 39. The assessee’s contention that the AO erred in taking the recourse to accounting standards (AS) for segment reporting. There is no requirement in the entire Section of 80-IA of the Act for reporting of a separate segment in the Accounts. Accounting Standards are prescribed under the Companies Act. Income tax authorities cannot derive adverse inference merely since the assessee took a view that segment reporting is only required for the manufacture of yeast. Further, the Cooling Power and Steam Power generated by the assessee are captive consumption and hence no separate segment disclosure is required. Further as per the provisions of the Act, for granting a deduction u/s 80IA of the Act only a separate P/ L account and B/S is to be prepared and report from a Chartered Accountant as per Form No 10CCB is also required to be filed and same have been duly filed. The assessee relied on the judgement of the Hon’[ED Supreme Court in the case of CIT vs Bongaigaon Refinery and Petrochemical Ltd (349 ITR 352). In this case the AO while framing assessment, under Section 143(3) allowed deduction u/s 80HH and 80I of the Act after examining and being satisfied with the unit-wise profit & loss statement filed by that Assessee. The CIT u/s 263 passed an order holding that the assessee was statutorily obliged to maintain Segregated Accounts for each of the three units unit-wise for claiming deduction under Sections 80HH and 80I of the Act, whereas the assessee had maintained Consolidated Accounts. Against the order of CIT, the matter came by way of appeal to the ITAT, which came to the conclusion that there was no statutory requirement under Section 80HH(5) / 80 I(7) of the Act to maintain unit-wise accounts. However, the Tribunal observed that, to put an end to litigation, Bongaigaon Refinery and Petrochemicals Ltd should submit unit-wise audited accounts and claim deduction under Sections 80HH and 80I of the Act. Against the said decision that assessee appealed to the High Court which set aside the order of the Tribunal. An appeal was filed by the department before the Supreme Court. The Supreme Court held that neither Section 80HH nor Section 80I of the Act statutorily obliged the assessee to maintain its accounts unit-wise and that it was open to maintain its accounts in a consolidated form and that unit-wise net profits could be prepared by the Auditors from the Consolidated Books of Accounts and on that basis compute deduction under Section 80HH / 80I of the Act. The judgement squarely applies to the assessee’s case. 40. The AO has also sought to deny the deduction u/s 80IA of the Act by stating that there is no mention about business of power generation in Form 3CD and Schedule N of statutory report of the auditor. The assessee stated that Section 80IA of the Act only mandates that a separate report in Form 1 0CCB is to be furnished by each undertaking or enterprise of the assessee claiming deduction under Section 80-IA of the Act and the same shall be accompanied by a P/L Account and Balance Sheet of the undertaking or enterprise as if the undertaking or the enterprise were a distinct entity. The assessee has duly submitted the report in prescribed form along with separate a Profit and Loss Statement for each power generation undertaking which are at page no 195 to 473 of assessee’s Paper book. The AO cannot deny deduction merely on the ground that the business of power generation namely cooling power generation undertakings and steam power generation undertakings were not mentioned in Form 3CD audit report. Further, that there is no requirement mentioned in Section 80IA of the Act to the effect that the business of power generation should be mentioned in the Form 3CD audit report nor is there any rule under the Act to that effect. “27. We shall now take up the appeal numbered as I. T. A. 378/Coch/09. The only issue urged in this appeal by the Revenue is whether the learned Commissioner of Income-tax (Appeals) is justified in holding that the DG power generation units I and II installed by the assessee- company for captive power consumption constituted an “undertaking” in terms of sub-section (4)(iv) of section 80-IA of the Act. 28. The Assessing Officer rejected the claim of deduction under section 80-IA of the Act by holding that the DG power generation units I and II cannot be termed as an “undertaking” for the purpose of section 80-IA of the Act. The learned Commissioner of Income-tax (Appeals) allowed the claim by following his own order in the immediately preceding During the course of hearing, the learned authorized representative brought to our notice that the Tribunal has considered this issue in the assessee’s own case in the assessment year 2002- 03 in I. T. A. Nos. 429/Coch/2006 and 377/Coch/2009 and decided the same in favour of the assessee. From the above facts and discussion, it is clear that the very scheme of 80-IA of the Act as also referred and discussed in a catena of judgments was to encourage captively generation of power. There is no bar in the Section on an assessee to produce power at his power division and sell it to its his own manufacturing unit i.e. captive consumption. 45. Further the AO was of the view that the undertaking was formed by transfer of plant and machinery previously used for other business to a power business. But according to CIT(A), although, the equipment has been installed from FY 1996-97 on wards till FY 2002-03, the assessee had not claimed deduction u/s 80IA of the Act and the deduction has been claimed in current year AY 2003-04 treating the year of commencement as AY 1997-98 and current year as one of the ten years for which deduction is available. It cannot, therefore, be said that old machinery used for any other business earlier has been used to form the new undertaking. A new cooling tower was installed in FY 1996-97 at the assessee’s Cooling Power genera ion undertaking at Sandila for Rs. 11,66,810. The percentage of new assets in this undertaking is 96% which is much more than the statutorily prescribed limit of 80%. This undertaking commenced production on 22.3.1997. A new cooling tower was installed in FY 2002-03 at the assessee’s Cooling Power generation undertaking at Chiplun for Rs. 9,77,640. The percentage of new assets in this undertaking is 97.11% which is much more than the statutorily prescribed limit of 80%. This undertaking commenced production on 2.8.2002. A perusal of Section 80IA of the Act would show that deduction can be claimed for any 10 consecutive years out of 15 years commencing in the AY in which the power generation activity begins. In this regard the assessee relied on Hon’ble Delhi High Court the case of Praveen Soni vs CIT (2011) 241 CTR 542. Cooling Power generation undertaking at Sandila commenced in AY 1997-98 and assessee exercised its option and claimed deduction u/s 80IA of the Act from AY 2003-04 on wards. Similarly, the Cooling Power generation undertaking at Chiplun commenced in AY 2003-04 and the assessee exercised its option and claimed deduction u/s 80IA from AY 2004-05 on wards. At the assessee’s Steam Power generation undertaking at Sandila was set up in FY 1999- 2000 at a cost of Rs.84 Lacs and commencement of production of steam power was 31.01.2000 with percentage of new assets at 98.38% and therefore was well above the 80% statutory limit. Similarly, the assessee’s Steam Power generation undertaking at Chplun was set up in FY 2000-01 at a cost of Rs. 59.25 Lacs and commencement of production of steam power was 01.03.2001. The percentage of new assets was 96.39% and therefore was well above the 80% statutory limit. “There is little room for any doubt that scientifically in general parlance, ‘production of st am’, and ‘generation of steam’ or for that matter ‘production of electricity’ and ‘gen ration of electricity’, shall have the same meaning whichever of the two be the item under consideration. In this regard, the assessee had also referred to the definition of word ‘generate’ under section 2(29) of the Electricity Act 2003 as per which ‘generate’ means to produce electricity from a generating station for the purpose of giving supply to any premises or enabling a supplier to be so given. The Assessing Officer had tried to point out the intention of the Legislature by referring to section 80-IA (4) (iv) (b ) to infer that its intention is to provide benefit to the generation of electricity only, since in the sub-clause (b ) transmission and distribution lines are mentioned which could be of electricity only. However, the submission of the assessee in this regard was appropriate that sub-clauses (a), (b) and (c ) of section 80-IA(4)(iv) provide for deduction in the cases of three types of undertakings, viz., the first which is engaged in generation or generation and distribution of power; the second, which starts transmission or distribution lines; and the third, which undertakes substantial renovation and modernization of the existing network of transmission or distribution lines. All these three clauses deal with the three different categories of the undertakings. These three types of undertakings referred to in the said sub-clauses (a), (b) and (c ) are different and independent of each other. Thus, while dealing with one sub-clause, inference need not and cannot be drawn from the other sub-clause. On a perusal of those provisions, the plea of the assessee was correct that its case fell in sub-clause (a) itself and the legislative intent inferred by the Assessing Officer with reference to sub-clause (b) was superfluous, just like there are transmission or distribution lines for electricity there are transmission and distribution lines for steam too. Therefore, there was no basis whatsoever for drawing distinction between the two or a room for any confusion between the two propositions. ‘Power’ and ‘energy’ are synonymous, which can be in several types and forms, be it heat, which is steam or mechanical or electrical, wind or be it thermal. If the intent of the Legislature remains to restore the application of the benefit of deduction under section 80-IA to generation of electricity only, it would have been specifically so worded by using the connotation ‘electrical power’ only rather than the connotation ‘power’ omnibus. Thus, there is no doubt that like electricity, steam is also a form of power. In the aforesaid circumstances, the decision arrived at by the Commissioner (Appeals) that the assessee was in the business of generation of power and that the steam so generated by the industrial undertaking and receipt from the business of industrial undertaking was within the meaning of section 80-IA was correct. i) CIT vs. TANFAC Industries Limited Tax Case 1773 of 2008 wherein it was held by Hon’ble Madras High Court that Steam generated and consumed captively would be eligible for deduction u/s 80IA. This judgment was upheld by the Hon’bleSupreme Court as reported in (2010) 319 ITR (St) 8. ITAT allowed deduction u/s 80IA for power generated and consumed captively. “9. Therefore, there is no difficulty in holding that captive consumption of the power generated by the assessee from its own power plant would enable the respondent/ assessee to derived profit and gains by working out the cost of such consumption of power in as much as the assessee is able to save to that extent which would certainly be covered by Section 80-IA (1). When such will be the outcome out of own consumption of the power generated and gained by the assessee by setting of its own power plant, we do not find any lack of merit in the claim of the respondent/ Assessee when it claimed by relying upon Section 80-IA(1) of the Income Tax Act by way of deduction of the value of such units of power consumed by its own plant by way of profits and gains for the relevant assessment years. ii) Where a captive power plant is merely hived off as a separate entity and not sold to a third party, owing to the close connection between the power generating undertaking and its industrial user undertaking, the transactions would require examination at the level of Assessing Officer to ensure that they are at arms ’length and that theprovisions sub-section (8) of Section 80-IA are not attracted adversely. In the case of Prabhu Spinning Mills Pvt. Ltd. vs. DCIT reported in (2012) 31 CCH 277 the ITAT held that: “18n so far as the second issue regarding captive consumption is concerned, it is, admittedly, covered by the decision of the Hon’ble Madras High Court rendered in the case of CIT vs Thiagarajar Mills Ltd in Tax Case (Appeal) Nos. 68 to 70 of 2010, in favour of the assesse. Paragraphs 8 to 11 of the decision are reproduced herein below: The contention that only whatever power generated from the sale to an outsider or the Electricity Board and the profit or gain derived by such sale alone can be taken as profit or gains derived by the assessee as mentioned in Section 80-IA(1) of the Income-tax Act, has been rejected by the Tribunal in the order impugned. In our considered view, the Tribunal was well justified in having rejected such a stand of the tax Act, we are also convinced that what are all to be satisfied in order to be eligible for the deduction as provided under sub-section (1) of section 80-IA the assessee should have set up and an undertaking or an enterprise and from and out of such an undertaking or an enterprise set up, any profit or gain is derived, falling under sub-section covered by sub-section(4) of section 80-IA of the Income-tax Act such profit or gain derived by the assessee can be deducted in its entirety for a period of 10 years starting from the date of functioning of the set up. The contention that profit or gain can be claimed by the assessee only if such profit or gain is derived by the sale of its product or power generated to an outsider cannot be the manner in which the provisions contained in section 80-IA91 can be interpreted. The expression ‘derived’ used in the said section 80-IA in the beginning as well as in the last part of sub-section(4) makes it abundantly clear that such profit or gain could be obtained by one’s own consumption of the outcome of any such undertaking or business enterprise as referred to in sub-section(4) of section 80-IA. The dictionary meaning of the expression ‘derive’ in the New Oxford Dictionary of English states “obtaining something from a specified source.”In section 80- IA(1) also no restriction has been imposed as regards the deriving of profit or gain in order to state that such profit or gain derived only through an outside source alone would make eligible for the benefits provided in the said section. 51. The assessee explained the brief facts relating to Deduction Claimed For Generation of Cooling Power that the cost of generating cooling power has been arrived at based on actual cost records maintained and duly audited. Further for office and administrative expenses, these are based on the salary of one administrative staff each for its Cooling power generation undertakings at Chiplun and Sandila. The cost of each undertaking is recorded location wise in the audited financial statement enclosed along with Form 10CCB as above. As regards the quantum of units produced, the Cooling Power is measured in Tonnes of Refrigeration (TR). Based on the actual Cooling Power Generation the assessee records the Tonnes of refrigeration in the logbook which was not disputed either by the AO or the CIT(A). Power is a measure of the Work done divided by the Time taken to do the Work. Thus, when a ‘Joule’ is the unit of Work, and an ‘Hour’ is the unit of Time, the unit of Power is Joule/ Hour or Watt. One Ton of Refrigeration (TR) is equal to 11376 Kilo Joules/hour, which is equal to 3025 Kilocalories/hour, which is equal to 3.516 Kilo Watts of Power. Refrigeration Tonnes to kilowatts (kW) conversion calculator from RapidTables.com, where it clearly show that 1 Refrigeration Tonne = 3.5168525 kW (rounded off to 3.52 kW). The Appellant has enclosed RapidTables.com at Page Nos 349 to 352 of Continuation No. 2 of Paper Book No. III which evidences the fact that 1 Tonne of Refrigeration [1 TR] = 3.517 kilowatts (kW) of electric power. The assessee claimed that valuation per TR done by them is less than the State Electricity Board prices. Therefore, the deduction claimed by assessee u/s 80-IA of the Act for generation of cooling power be allowed. But the AO did not allow the claim for deduction under Section 80IA of the Act and he has in Paras 7.25 to 7.29 of assessment order for AY 2005-06 held without prejudice, that if at any appellate stage the assessee is entitled to deduction u/s 80IA of the Act, deduction should be computed by adopting the net profit rate of consolidated business. The AO did not accept the computation prepared by the assessee on the basis of notional sale and by allocating certain expenses from the accounts and held that profit from production of such energy should be computed at best at net profit rate of consolidated business (including manufacture of yeast) which was 2.75%, 14.97%, 23.13%, 26.41% in AY 2005-06, 2006-07, 2007-08, 2008-09 respectively. Aggrieved, assessee preferred appeal before CIT(A). 55. The CIT(A) in appeal accepted the claim of the assessee and allowed the deduction u/s 80IA for Cooling Power generation undertaking at Sandila. However CIT(A) reduced the quantum of deduction on the ground that in his opinion the rate of conversion of 1 Tonne of Refrigeration equal to 3.52 kW of electricity as adopted by the assessee is much on the higher side and instead the rate of 1 Tonne of Refrigeration equal to 1.02 kW of electricity being rate applicable for modern chilling plant as per an article by one Henry Manczyk, which has been relied by CIT(A). The CIT(A) followed AY 2003-04 and held the conversion value of 1 Tonne of Refrigeration (TR) at 3.52 kW of electric power is on the higher side which has ultimately resulted in higher figure of profit He referred to an artice “Refrigeration Chiller Performance Analysis at Various loads” by Henry Manczyk, Director of Facilities Management, Lau Chester, NY dated April 2003, wherein he stated as per this analysis a modern chilling plant could produce 1 tonne of refrigeration for an average of 1.02 KW of electrical energy. The CIT(A) by adopting 1.02 KW as the rate of conversion rate instead of 3.52 kW adopted by the assessee, converted the tonnage of refrigeration power to electric power in kilowatts (KW) and thereafter applied a rate of Rs 4.63 per KW (being the state Electricity Board’s price of electricity at the relevant time) and he computed the profit of the undertaking to which he added the expenses as claimed by the assessee and arrived at the sales value of the undertaking. He held the profit so computed of Rs 2,80,04,904 as being eligible for deduction under Section 80IA instead of deduction claimed by assessee of Rs 3,85,17,595/- for AY 2003-04. 57. The assessee also placed reliance on the order in the case of Sirpur Paper Mills Ltd. ITA Nos. 425/Hyd/01, 547/Hyd/06, 545/Hyd/06, 963/Hyd/06 vide order dated 18.05.2007, wherein it was held that each unit of steam should be valued at the same price at which the Andhra Pradesh State Electricity Board sold electricity and that the State Electricity Board rates are the true representative of the market rate. 58. The next Deduction claimed for Cooling Power Produced from Ammonia Absorption Recovery Plant (AARP) undertaking at Sandila for the first time in AY 2004-05 and thereafter for AY 2005-06 and AY 2006- 07. CIT(A) in Para 32 of appellate order for AY 2004-05 allowed the claim of deduction of the assessee under Section 80IA of the Act for Cooling Power generated from AARP undertaking. Further in Para 33 he has discussed the quantum of this claim wherein he held that per unit cost of Rs.15.71 should be restricted to average power cost during the year in Sandila Unit of Rs.5.32. Therefore, CIT(A) reduced the claim from 23,31,945 to a loss of Rs. 10,44,728. He held that since net result is negative figure or a loss no deduction would be available. 59. The assessee before us claimed that for the AARP unit the CIT(A) has considered the conversion rate of 1 TR = 1.02kw by relying on article “Refrigeration Chiller Performance Anaysis at Various loads by Henry Manczyk . The assessee claimed that as the rate claimed of Rs.15.71 is higher than the price at which the U.P. State Electricity Boards have sold electricity which is based on conversion rate of 1TR = 3.517 Kw which comes to Rs.12.69 and Rs. 12.73 per Tonne of Refrigeration respectively for AY 2005-06 and AY 2006-07 respectively. Hence, the claim be restricted per TR based on Electricity Board’s rate which comes to Rs 12.69 and Rs.12.73 per Tonne of Refrigeration at the conversion rate of 1 Tonne of refrigeration – 3.516 Kw for AY 2005-06 and AY 2006-07 respectively being lower than the price claimed by the assessee of Rs 15.71 per TR. 60. The next claim of deduction is for generation of Steam Power and for this it was claimed that the cost of generating steam power has been arrived at based on actual cost records maintained and which were duly For office and administrative expenses, the assessee allocated this based on the salary of one administrative staff at each of its steam power generation undertakings at Sandila and Chiplun. The cost of each undertaking is recorded in the location wise in the audited financial statement enclosed along with Form 10CCB. As regards the quantum of units produced, that is based on the meter recording the assessee records the Kilograms of steam generated in the logbook, disputed neither by the AO nor the CIT(A). As per Section 80IA(8) of the Act, where any goods or services held for the purposes of the eligible business are transferred to any other business carried on by the assessee, or where any goods or services held for the purposes of any other business carried on by the assessee are transferred to the eligible business and, in either case, the consideration, if any, for such transfer as recorded in the accounts of the eligible business does not correspond to the market value of such goods or services as on the date of the transfer, then, for the purposes of the deduction under this section, the profits and gains of such eligible business shall be computed as if the transfer, in either case, had been made at the market value of such goods or services as on that date. Since Steam which is generated at Chiplun and Sandila by the assessee at its Steam Power generation undertakings is captively consumed by the yeast manufacturing factories, the assessee in order to arrive at the market value of such goods taken the electricity rates of Maharashtra State Electricity Board and U.P. State Electricity Board as a base and has assigned the notional value of sales as under. For a few years the notional sales value was lower than price of electricity from state electricity boards as shown below. Further 1 Kg of steam is equivalent to 1 KW of electric power and computed as under:-. (i) The computation prepared by the Appellant on the basis of notional sale and by allocating certain expenses from considered accounts, some by process of identification as relating to the undertakings and some on an estimate basis. No scientific basis has been provided for these estimates. (ii) Profit from production of such energy should be computed at best at net profit rate of consolidated business (including manufacture of yeast) was 2.75%, 14.97%, 23.13%, 26.41% in AY 2005-06, 2006-0 7, 200 7-08, 2008-09. Aggrieved, assessee preferred appeal before Tribunal. 64. The assessee claimed that they have valued each unit (kg) of steam power produced at their undertaking at Sandila at Rs. 2.21, 2.11, Rs. 5.71, Rs.5.71 for the AYs 2005-06, 2006-07, 2007-08, 2008- 09 respectively and valued each unit (kg) of Steam Power produced at their undertaking at Chiplun Rs. 0.82, Rs. 1.08, Rs.4.34, Rs.5.71 for the AYs 2005-06, 2006-07, 2007-08, 2008-09 respectively. It was argued that a similar objection was taken in the case of Sirpur Paper Mills Ltd. ITA Nos. 425/Hyd/01, 547/Hyd/06, 545/Hyd/06, 963/Hyd/06 vide order dated 18.05.2007 in which case that assessee was also generating steam which was captively consumed in its paper manufacturing factory. Tribunal’sHyderabad Bench in Para Nos 20 to 26 which is on Page 244 to 247 of the Paper book held that the true representative of the market price can only be the price of A.P. State Electricity Board (APSEB) because they are the major producers of electricity in the country and also since the assessee itself purchases electricity from APSEB. In view of the above, the assessee argued that that at the most the claim of the assessee can be restricted to the rates at which the State Electricity Board sold electricity to the assessee but the arbitrary reduction of 25% of the sales revenue without pointing out any discrepancy or defect in audited profit & loss account and without stating why the electricity rate as per State Electricity Board cannot be considered is not appropriate and that too when for a few years the assessee has adopted a price less than the State Electricity Board prices. (i) West Coast Paper Mills Ltd. vs. ACIT 33 ITR (T) 560 (Mumbai – Trib.). 68. Perusal of the above provision shows that for purposes of calculating the deduction under Section 80-IA of the Act, the profits of the eligible business must be worked out as it were the only source of an assessee’s income. Therefore, the the AO by applying the net profit percentage of the assessee’s yeast manufacturing business for arriving at profits u/s 80-IA in respect of Cooling Power and Steam Power generation undertakings is contrary to Section 80IA(5) of the Act and is therefore baseless and deserves to be set aside. When the assessee has submitted the audited statements duly supported by various records of the power generation undertakings, the same should be taken as correct, subject of course to the verification of the facts. None of these facts have been disputed by the AO. These are entitled for deduction under section 80IA of the Act at their plants at Sandila and Chiplun for the AY 2005-06 to 2008-09. We agree with the findings of CIT(A) on the above reasoning recorded. Even, the DsseHsee’sFJVLI SFunit is established as part of existing industrial establishment and the newly established unit itself is an integrated independent unit in which new plant and machinery is put up and that why these is capable of production are classified as newly established undertaking in the given facts and circumstances of the case. 70. In regard to quantum of deduction, the assessee has to take the electricity rate of Maharashtra State Electricity Board and U.P. State Electricity Board as a base for computing the rates. The notional sale value is to be converted from TR to KW, the conversion of the Tons of Refrigeration to Kilowatts being the unit of measurement for electric power, it should be taken at 1 Refrigeration Tonne =3.5168525 KW (rounded off to 3.51 KW). However the details can be verified by the AO at the time of giving effect to this order. Accordingly, this inter-connected issue for claim of deduction under section 80IA of the Act is allowed in favour of assessee. This issue of assessee’s appeals is allowed and that of the Revenue’s is dismissed. 72. At the outset, the learned Counsel for the assessee stated that the quantum of expenditure incurred by assessee is very high and going by the disallowance restricted by the AO and confirmed by CIT(A) is very small amount and due to smallness of amount, the assessee is not interested in prosecuting this issue for all the years. However, the learned Counsel stated that this should not be taken as precedent for any other year and this concession cannot be used against assessee in any other proceedings. On this the learned CIT DR has not objected. 74. In the result, the appeals of Revenue are dismissed and the appeals of assessee are partly allowed. Order pronounced in the open court on 24-11-2017.